Some of you may know that it is claimed that Lord Berners once had a Giraffe to tea .... (Yes - okay - I know - Nessie was also there - and apparently worse for wear .... ) . 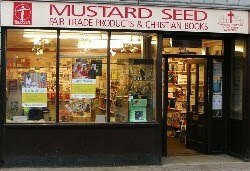 Nonetheless - it's entirely appropriate - and ON THEME - to point out that The Mustard Seed really is the LITTLE shop full of BIG surprises. I suggest you take a visit as soon as you possibly can. 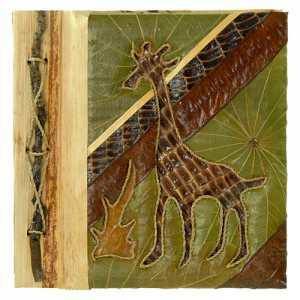 You'll find - towering above you - all the way from the plains of the African Savanna - a TWO METRE TALL GIRAFFE. (Maybe not impressive for a Giraffe - but certainly impressive for a Giraffe in Faringdon). His name's Gerald. (Gosh - what a coincidence - that's the same as Lord Berner's first name) . And he's looking for a home. So are his family ( slightly shorter - but also OH so elegant). They all come fully house trained - and will fit in beautifully if provided with suitable Bernerseque surroundings . They're also very partial to the odd half of scrumpy with a dash of angostura bitters (that bit's true) . While we're on the subject of giraffes, you DO of course need somewhere to put all those big game photos. (I'm particularly proud of the one on the right. It was actually quite dangerous getting the picture - hence the camera shake) .